At Sandos Cancun Luxury Resort, you’ll discover an extensive list of luxuries in an adults oriented ambiance. Several restaurants with gourmet cuisine offer an unmissable culinary experience, while numerous upscale spaces provide complete relaxation surrounded by contemporary details. Now, Sandos Cancun presents its new experience for your luxury getaway, a blend of music, cuisine, fashion and culture that we call: The Rhythm Experience. 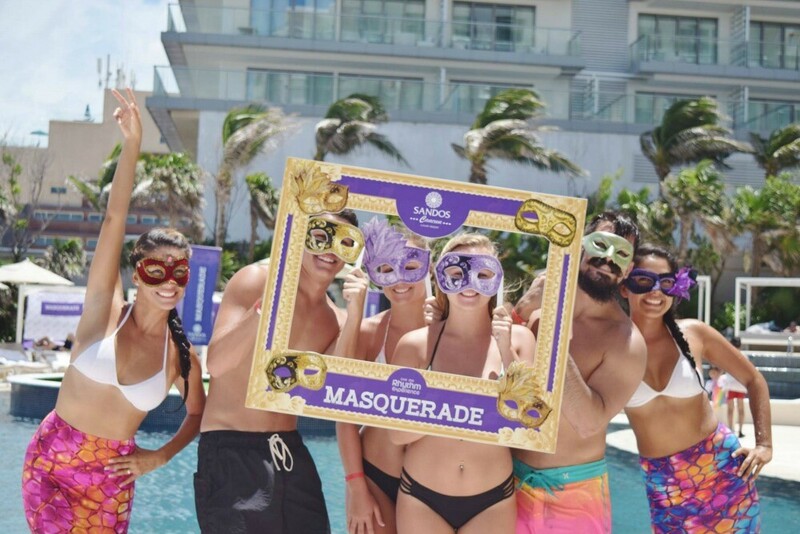 But Saturdays are without a doubt the best day of the week to enjoy The Rhythm Experience here at Sandos Cancun, with a variety of theme parties with live entertainment in the pool area. You could get to experience our All Aboard party, Masquerade, Champagne & Sparkles, or Vintage Pin-up! When the sun falls behind the horizon, the music moves to our Beach Club, where you can sip on delicious cocktails and dance under the stars to the rhythm of the Caribbean waves. If you’re searching for a quieter, more minimalist setting, stop by Bar One in the lobby area for drinks in an elegant ambiance, or enjoy some time at the Tea Lounge. In addition to all the perks of our All Inclusive plan, Sandos Cancun also has a variety of lifestyle activities to complement your stay. Indulge in a mixology experience like sunset cocktails or tequila and mezcal tastings, or enjoy the flavors of a champagne brunch or outdoor dinner. We’ll help you complete your stay on the beaches of Cancun with something truly memorable and special. 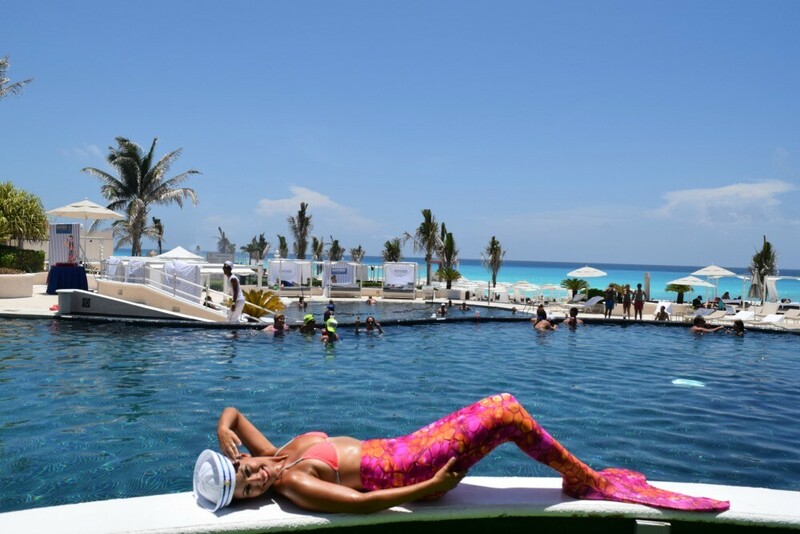 Sandos Cancun Luxury Resort also complements The Rhythm Experience as the host to some of the most well-known and desirable events in Cancun, like the Wine & Food Festival or pool parties with famous magazines like Maxim and Glam Out. If you seek a party that your guests will rave about, we can organize cocktail parties in the penthouse, fashion catwalks in the pool area, culinary experiences and much more for your event.